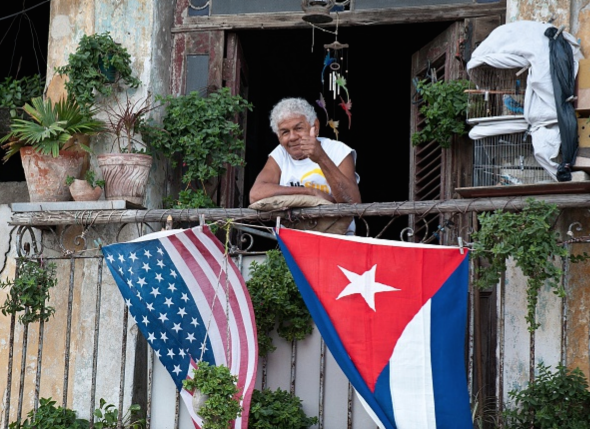 U.S. and Cuba to re-establish diplomatic ties, reopen embassies after 50 years. The gradual warming of relations between the U.S. and Cuba continued on Tuesday with the news that the two will formally restore diplomatic relations and reopen embassies. The final agreement is expected to be announced on Wednesday and the U.S. embassy is Havana should be up and running in July. U.S. diplomatic ties with Cuba were severed in 1961 following Castro’s ascent to power during the Cuban revolution. Beginning in the late 1970s, however, each country has operated a diplomatic office in each other’s country, but called them “interests sections,” rather than embassies. These missions, the Associated Press notes, are technically under the protection of Switzerland. The New York Times did a bit of sleuthing around Cuba’s “interests section” in Washington, D.C. and found signs that diplomacy was in the air. “In recent weeks, Cuba… repaved the driveway, repainted the fence and erected a large flagpole on the front lawn to await the formal raising of its flag,” according to the Times. The chilly relationship between the two countries has persisted for decades, well beyond any true geopolitical importance that the standoff gained during the Cold War. President Obama aimed to change the tone and trajectory of the relationship when elected to office and late last year announced the beginning of substantive reforms—including building economic ties and easing travel restrictions. The diplomatic normalization is the latest move by the Obama administration looking to keep the process’ momentum going. Momentum will be important politically to make changes that Obama cannot make by himself. The administration can make diplomatic deals, like this one and removing Cuba from the list of state sponsors of terrorism, but Congress is the only body that can technically lift the embargo.